Mater Salvatoris College Preparatory School will continue to expand next September 2019 and will offer PK, K (Preschool and Kindergarten co-ed), First and Second Grade (all-girls from First Grade up), in North Stamford, at 403 Scofieldtown Road, Stamford, CT. The Sisters of the Company of the Savior have been present in the United States since 1961. “Our vocation is to live in any part of it where there is hope of greater service to God and the help of souls” (Constitutions Company of the Savior, n. 3). 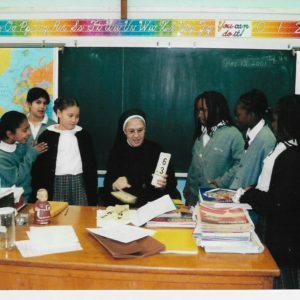 With the only desire of being “useful to the service of the Holy Church and ad maiorem Dei Gloriam“, the Sisters of the Company of the Savior offered their charisma of education to serve “in any way it is needed” within the Diocese of Bridgeport, Connecticut. It was through Rev. Fr. Patrick Peyton, C.S.C., who Mother Maria Felix, our Mother Foundress, met at Caracas’ airport for his first “Rosary crusade”, that the first Bishop of Bridgeport, Rev. Lawrence Shehan, welcomed the Company of the Savior in 1961. 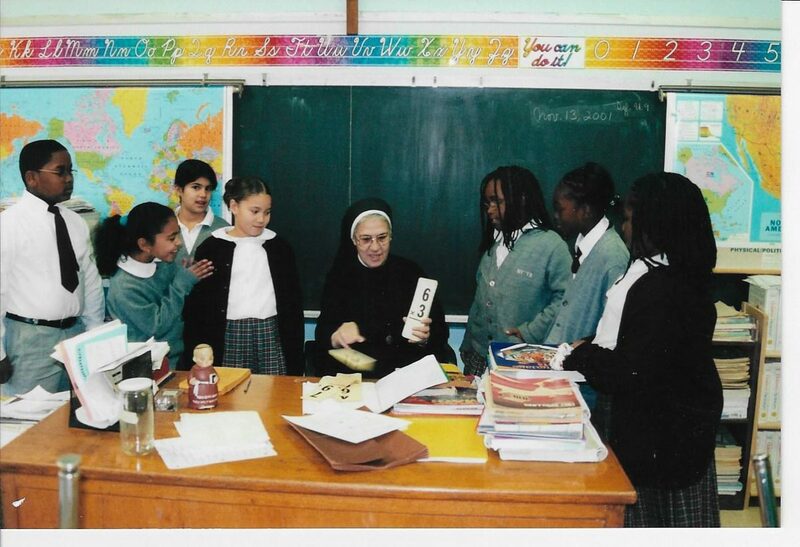 For over 50 years, the Sisters have been teaching in the Diocesan Schools of the city of Bridgeport -Saint Mary, Blessed Sacrament, and Saint Peter-, until this last one was closed in 2013. In her visits to the United States, our Mother Foundress recognized the merits of the American system and its college campus. It influenced her in conceiving a project that was ahead of its time in the Mater Salvatoris Schools. 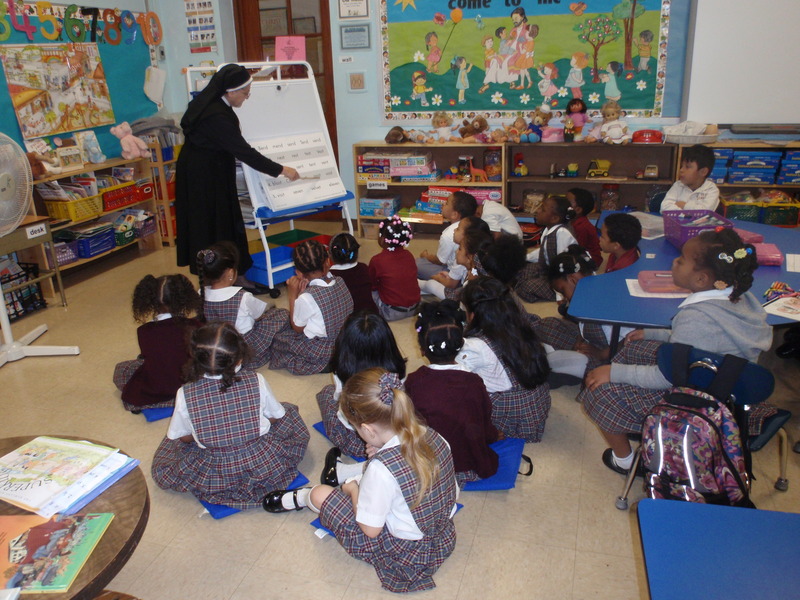 On December 12, 2013, our Superior General, Mother Amelia Lora-Tamayo, C.S., expressed to Bishop Frank Caggiano that the Company of the Savior sees the urgent need of Catholic Education in the U.S.; a need that can be served by the founding its own girl’s school, as we have in other countries around the world. Bishop Frank Caggiano warmly welcomed the project of the Mater Salvatoris College Preparatory School in Fairfield County CT and encouraged us to carry it out. With a deep desire to start the school, thanks to the permission granted by Bishop Caggiano, and the warm welcome of Msgr. Kevin Royal, Pastor of Holy Spirit, and his Parish Council, God, our Lord, has given us this opportunity to start the Mater Salvatoris School at the Holy Spirit school building, in Stamford. Mater Salvatoris School opened its doors in September 2018, while we continue the search for a permanent location with larger property to build and expand the school. This will fulfill Mother Maria Felix’ vision, for the Greater Glory of God and under the maternal protection of our Lady, Mother of the Savior.